Gyan Rajhans is a health and safety professional based in Canada. He has been broadcasting the only non-commercial Vedic religion radio program in North America since 1981, and a global webcast on bhajanawali.com since 1999. 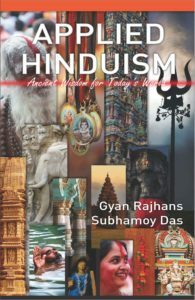 Rajhans is a widely published author of religious and spiritual books, which includes a translation of the Bhagavad Gita in English for the younger generation.